Duff MacCallister is heir to a fierce family of fighting Scotsmen. In a new land, in the extraordinary new saga by bestselling authors William W. Johnstone and J.A. Johnstone, Duff gives new meaning to the words without mercy. Cut Off The Head--The Beast Will Die. The Indians around Fort Laramie, Wyoming are peaceful. Or so it has seemed--until killers ambush a detail of U.S. soldiers and an officer's wife. 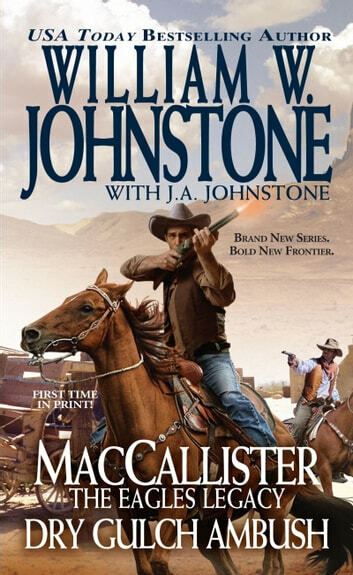 One man, an ambitious cavalry officer, flees the carnage and lives to tell the story--his own story, an outright lie. When Duff MacCallister and a few brave men go after the attackers, they discover the officer's wife is very much alive and at the cold merciless hands of the sadistic warrior Yellow Hawk. To free the woman, Duff touches off a fierce battle. And when he finds himself surrounded by the blood-crazed renegades, MacCallister knows there is only one way out--by going after Yellow Hawk himself. . .